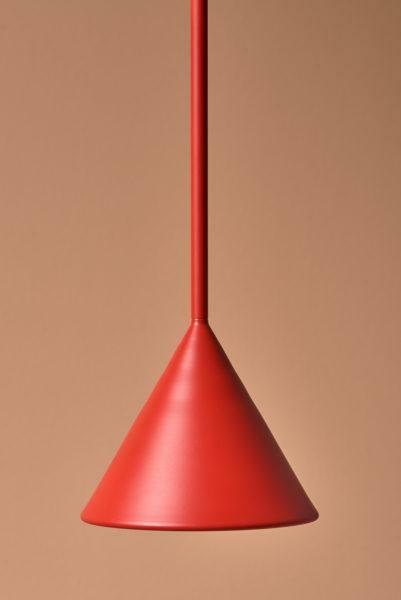 A stunning cone shape pendant light in a burnt orange finish. Shipped direct from Schneid in Germany. Beautiful Cone shape pendant lights. 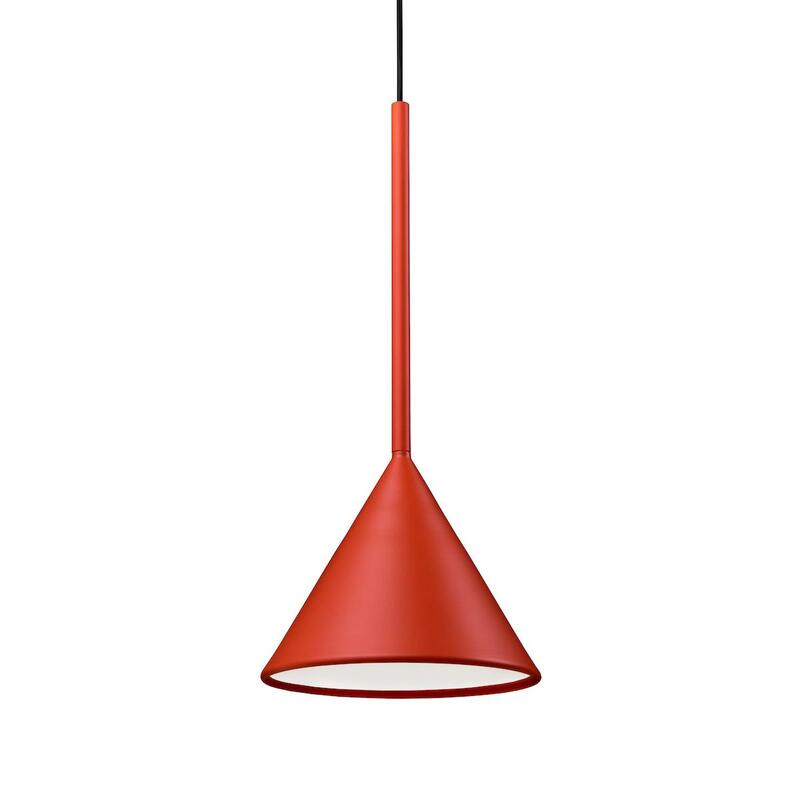 Figura – A melodious name that refers to the special shape of the luminaire. By a playful use of lines and forms three different versions were created, each of which, individually or in combination, exude gracefulness. With the fine metal tube, the line of the cable becomes a design element and part of the sculptural silhouette. The three shades, inspired by the authentic aesthetics of classic industrial luminaires, have a minimalist, graphic expression. 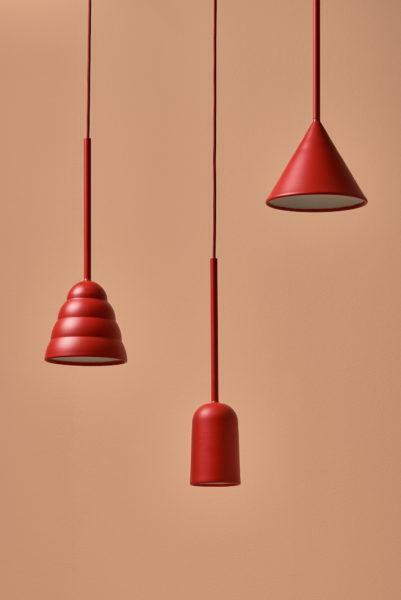 The luminaire is strangely beautiful in its interplay with fine surfaces and an subdued, timeless colour palette. Available with a choice of fabric cable colour, please select from drop down menu.